Where two or more are gathered, there will be food! Keto Gatherings celebrates food that is to be shared with others. 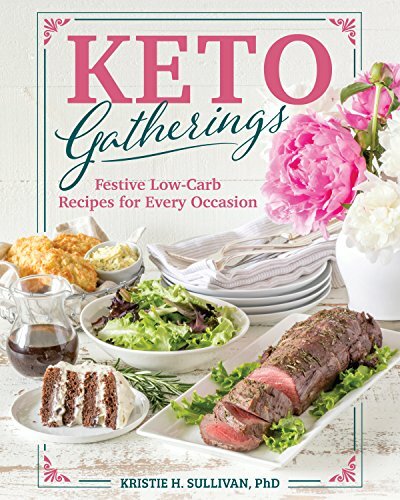 Regardless of the occasion, there are always delicious low carb options for everyone to enjoy and Keto Gatherings brings them all together. Organized by month, each chapter features a birthday treat as well as menu ideas any celebration, including cocktails. There is also an ice cream flavor of the month that will convince anyone who tries them that a ketogenic diet is sustainable. The recipes in this book are not keto recipes, but simply recipes for fantastic foods that anyone will enjoy. These are the dishes that I’ve shared with my family and friends for over five years of gatherings.